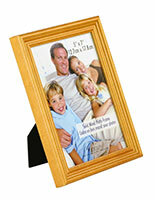 4" x 6" / 6" x 8" 5" x 7" / 8" x 10" 8" x 10" / 11" x 14" 8.5" x 11"
These picture frames are a perfect way to present your favored family photo or signage inside a retail store. 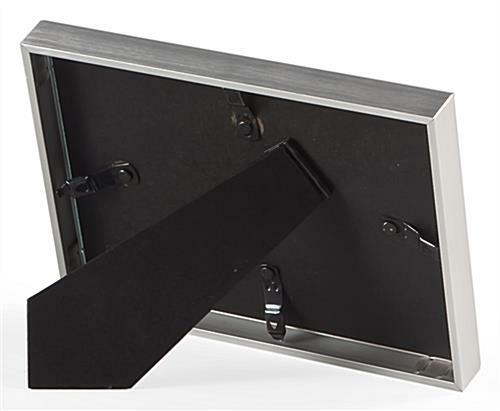 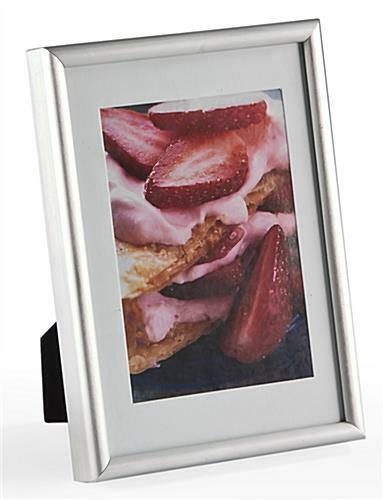 Manufactured from aluminum, the holders offer a traditional look without the high cost. 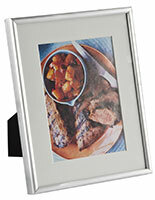 Included with purchase is a white mat board which is removable. 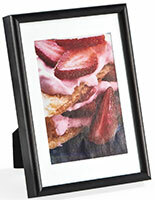 So, you can choose to display either 3-1/2" x 5" or 5" x 7" photographs. 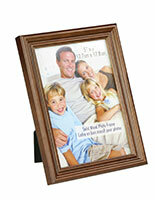 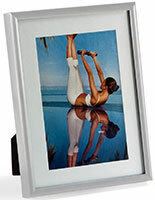 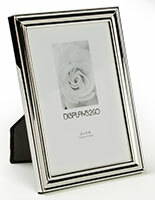 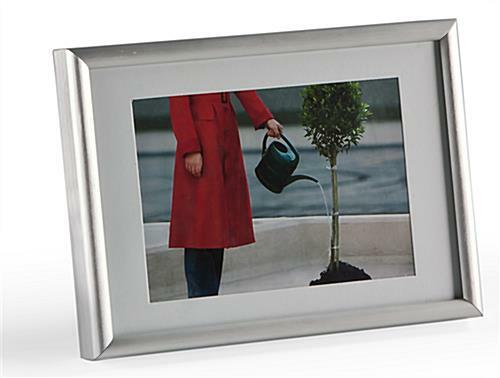 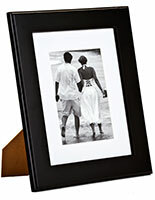 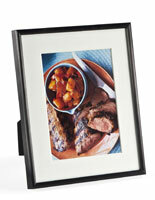 Place these picture frames on a table in vertical or horizontal format.